Congrats! You just finished writing the last work in your latest masterpiece, be it your novel, short story, poetry collection, play or screenplay. Can You Use Too Many Commas in a Sentence? In this day and age when emojis and memes are an integral part of virtual communication, it’s tempting to write with symbols instead of words. Just because it’s more fun doesn’t mean it’s accurate. Yes, I’m talking about the ampersand. You’ve reached the point in the writing process where it’s time to make some serious changes. Congratulations! Now it’s time to pick up that red pen and make some small and big alterations to your writing. This is called the editing process and the revision process. Here’s where it gets confusing. 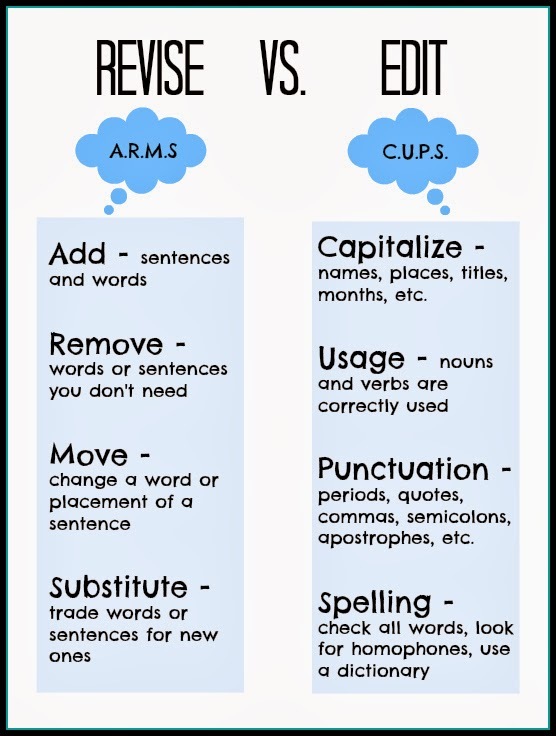 The terms editing and revising are often used interchangeably. Even I’m guilty of doing that. But I can also spell it out. Editing is about making the surface of the words nice and shiny. It’s like washing your car after driving across the country. Revision takes editing beyond the surface level. Revising requires you to focus on the meaning of the words. To put it in another way, revising is like popping the hood on your car to see why it makes that funny noise. Unlike the editing process, there are two levels to the revision process. That’s because, like a car, fixing that funny noise can lead to another leak you can’t see. The second level of the revising process focuses on the big picture of your writing. It’s about making sure that all the parts are in the right places and that it all flows coherently. So, Does Editing Or Revising Come First? There’s a lot of debate on this subject. And the right answer hasn’t been established yet. Here’s what I recommend: Start in reverse. Revise your writing by looking at the big picture. Then revise for sentence flow and order. Wrap it up with editing every letter and punctuation mark. I find this way saves a lot of time. Why spend hours capitalizing words if you end up cutting out that entire paragraph tomorrow? Sometimes, the editing and revising process overlaps. I often fix the spelling of a word or shift passive into active voice while I’m heightening the action of a scene. Finding what works for you takes time as well as some trial and error. Even our processes can use some revising and editing. What do you think the real difference is between revising and editing? Share your thoughts below.